I think I need to slow down. I'm currently reading or listening to 5 books. I'm in 2 book clubs and have books that I want to read on my own. The one I've been holding onto the longest is Allegiant by Veronica Roth. I'm about halfway through and need to finish so I can return the book to my friend. 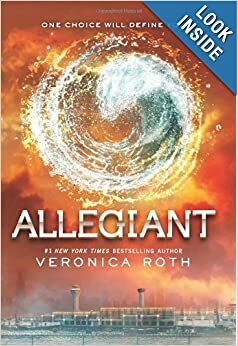 I really liked the first book, Divergent, but am having a hard time finishing this one. I guess the holiday season didn't lend much time to sitting and reading. 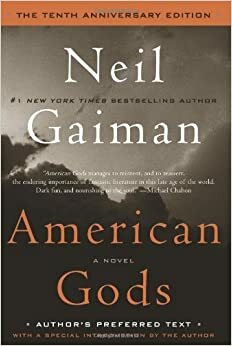 Then I've been listening to American Gods by Neil Gaiman. I love him. I really love when he narrates his own books, this one is only partially narrated by Neil Gaiman. It has a full cast of readers though, so that's pretty cool. I listened to The Graveyard Book, and he narrated that one fully. What a great voice! Unfortunately, I think this is one that I'll have to set aside for the moment so I can play catch up with the book club books. 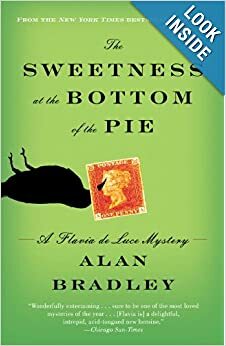 For what I call, "My Mom's Book Club" I'm reading The Sweetness at the Bottom of the Pie by Alan Bradley. I haven't started this one yet. I have until the first week of February to finish. My godmother really likes it so far...so we'll see. My mom invited me to come to her book club, and I'm so glad that I did. I'm the youngest there, outside the moderator, by about 25+ years. I was very hesitant at first. I wasn't sure what kinds of books these ladies would read and whether or not they would appreciate my point of view. As it turns out, I am learning so much from this group of ladies. They have been through so many and varied things and bring a whole other perspective to some of the books we've read. I've learned a lot and done a lot of listening. 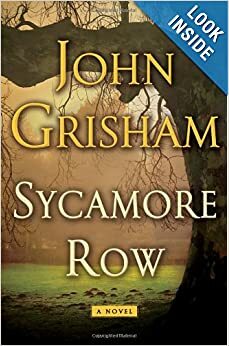 For what I call, "My Girls' Book Club" I'm reading Sycamore Row by John Grisham. This is another one that I have about 3 weeks to read! I haven't started yet. I'm not sure I've ever read any Grisham books before. I don't ever really consider picking them up. I'm not sure why. This book club consists of three. Three mommies who love to read! We don't have a moderator, or lists of questions, or a list of books for the year. It's really laid back. We chat about the book and life and hash out what we should read next. It's cool. We have a sort of flow from one book to the next. Something in one book will make us think of something else and we'll pick a book like that. 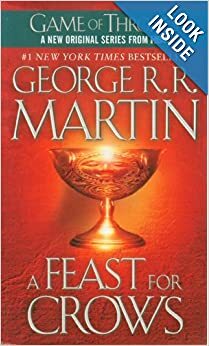 And finally, I'm reading A Feast for Crows, the fourth in the Game of Thrones series. I have a feeling that I'll need to put down the three I'm reading for myself for a bit. When I get finished with one, I'll write it up! Hi there! I'm not on GAPS. My sister (E) is leaning more that way. I'm a bit behind her. It takes me time to research and figure out what will work for me, then slowly I make changes. We are trying to move away from refined flours and such. I've started soaking my grains and flour, and buying sprouted when I can. The cookie experiment was fun! Thanks so much!